Join us as we help new parents in need. 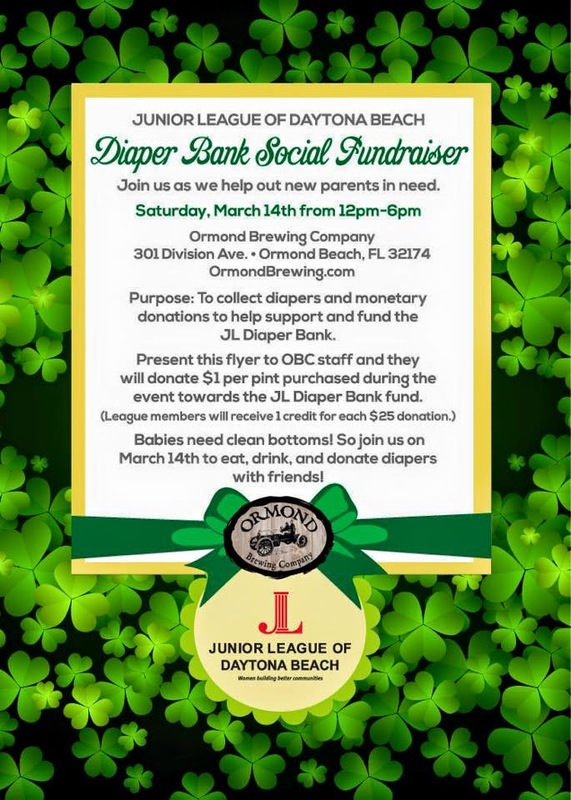 We will be collecting diapers and monetary donations to help support and fund the Junior League Daytona Beach Diaper Bank. Present the flyer to OBC staff and they will donate $1 per pint purchased during the event. Mia Dona will supply the food!